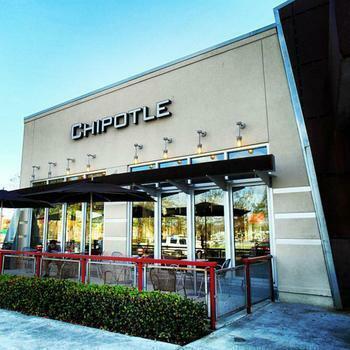 Earlier this month, Chipotle temporarily closed one of its stores in Sterling, Virginia after reports came in that some of its customers were getting ill. Health officials said that the symptoms were consistent with norovirus, but the specific cause of the outbreak was not yet clear. On Monday, health officials confirmed that a second person who visited the restaurant had norovirus. In all, 135 people have reported becoming ill after visiting the location between July 13 and July 16, but no such incidents have been reported since it reopened on July 19. “Two ill patrons have tested positive for the same strain of norovirus. Based on symptoms reported and these preliminary laboratory results, the cause of the outbreak is believed to be norovirus, though the specific source of the norovirus has not yet been identified,” said Dr. David Goodfriend of the Health Department. While the investigation has not yet concretely tied the outbreak to Chipotle, this latest news will be a bitter pill to swallow for the beleaguered company. Back in 2015, a multi-state E. coli outbreak linked to the company infected 55 people in 11 states, leading to 21 hospitalizations. While that was bad enough, another smaller E. coli outbreak in three states was soon tied to the company, which led to five illnesses and one hospitalization. Thankfully, no consumer deaths were attributed to either outbreak. The Centers for Disease Control and Prevention (CDC) points out that norovirus affects nearly 20 million people each year, and that it is usually contracted after close contact with infected people or by eating contaminated food. The agency says that 70% of cases from contaminated food can be attributed to infected food workers, but taking common food safety precautions and not working when sick can often mitigate the threat. Sickness from norovirus usually manifests within 12-48 hours after a consumer has been exposed and includes symptoms such as nausea, vomiting, abdominal pain, cramps, diarrhea, malaise, fever, and muscle pain. The Loudon County Health Department encourages consumers who have these symptoms to report it immediately. Officials say that any person with questions or concerns about this particular outbreak can contact the department at health@loudon.gov.